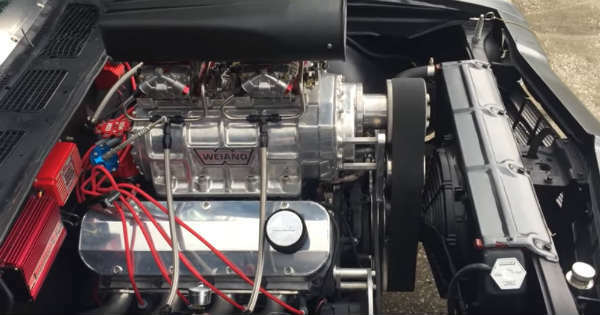 Are You Ready For This 1969 Chevy Chevelle Demonic Cold Start Sound? - Muscle Cars Zone! Among many great videos on the social media, there are quite few that make our blood boil and we just cannot help ourselves but to look for more and more. This means that besides all the great things on the social media, there are some that are so exceptional. This video is surely one of those as we take a look at a classic American muscle car that looks so cool that it would grab anyone`s attention. This 1969 Chevy Chevelle performs an amazing cold start and it sounds absolutely stunning. It must have taken weeks, months or probably years to completely finish this restoration process and to create this absolute monster. Though the video is fairly short and we see just fraction of the fun, it is more than enough. It takes just couple of seconds to get this beast up and running and it sounds like a massive storm is about to strike. This 1969 Chevelle SS is also known as the Flat Rat and it performs a cold start like no other car. But the engine is something completely amazing and beautiful. The hood is taken off hence the engine head pops out. There is so much more to know and to see about this amazing 1969 Chevy Chevelle SS but this is all we have for now. We cannot just wait until we take a look at their following video. What do you think, is this one of the best 1969 Chevelle ever restored? Please share your thoughts.